The cruise operator’s engineering team has been working for two days now to resolve the issue. At this time, the Grandeur of the Seas is scheduled to sail back into Baltimore tomorrow, Saturday, January 13. Royal Caribbean’s ship is currently on a nine-night sailing that departed Baltimore on January 2 with calls at Charleston, Port Canaveral), Grand Bahama Island; Nassau and CocoCay, Bahamas. 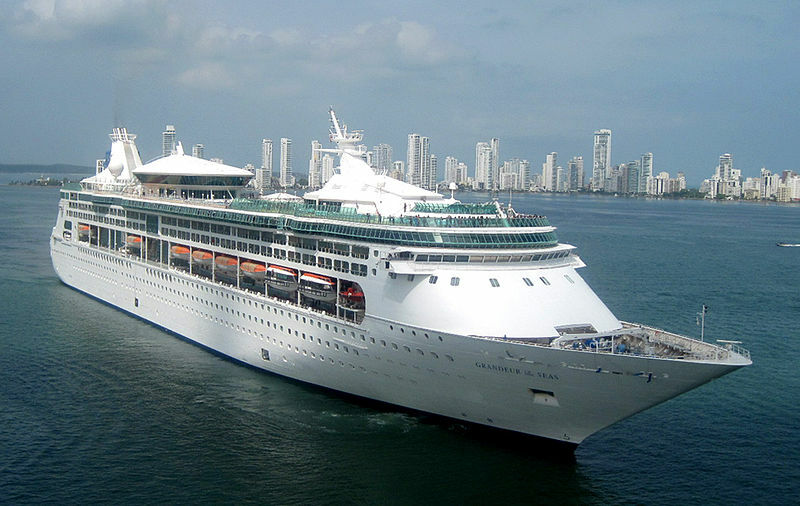 Grandeur of the Seas was on its way back from the Bahamas to its home port in Baltimore when a breakdown caused the unscheduled stop. The passengers complained that nobody informed that the ship was suffering a mechanical breakdown that forced it to stop for repairs at Port Canaveral. One of the vacationers claimed that they hadn’t even told them what the problem was. The passengers were only told that the vessel had a leaking hydraulic hose. The cruise line operator did not say what was wrong but said in a statement that, although the ship is currently safe to operate, it had to make a stop at Port Canaveral in an abundance of safety. Grandeur of the Seas is a Vision-class cruise ship has a capacity of 1,992 guests based on double occupancy. Its most recent refurbishment was in 2012. Homeported in Baltimore, the ship boasts an onboard casino, a rock climbing wall, outdoor movies by the pools, Adventure Ocean youth center, and a number of signature restaurants. This entry was posted in Port Canaveral, Royal Caribbean International (RCI), Vessels and tagged port canaveral, Royal Caribbean International, travel, vacation by writer. Bookmark the permalink.